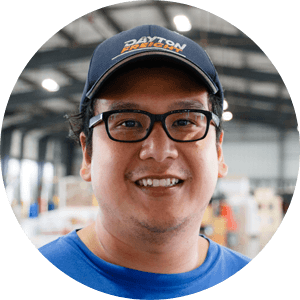 Dayton Freight’s Total Quality Management program is driven by the idea that all processes can and should be improved. In addition to pursuing methods of superior operations, we also focus on leadership development, employee training and customer service. One of our highest priorities is to treat customers like we would like to be treated. That means you will always receive the best service possible in the friendliest manner. 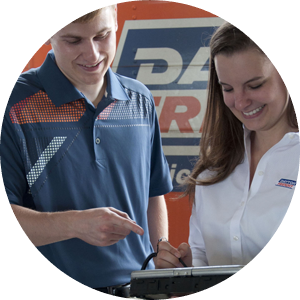 Whether you are talking to a Dayton Freight dispatcher, a customer service representative or a driver, we promise to have your best interests at heart – always. We will solve your problem or answer your question quickly and correctly. The Golden Rule is alive and well at Dayton Freight, and we pride ourselves on putting it into practice every single day. We understand that having your freight delivered on-time is critical to your business. This is the end game for all operational initiatives we develop. Dock scanning, inbound planning and a host of other programs may be invisible to you – but have been implemented so that your freight arrives on time and intact. Technology is just one aspect of the process. The most important part is our people. 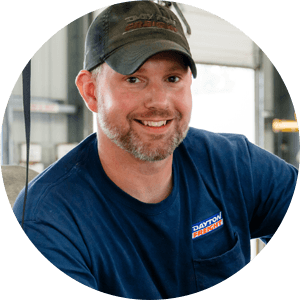 We truly have a workforce that understands your needs. Our people do everything in their power to exceed your expectations. Our philosophy starts with focusing on the customer, treating employees with respect and investing in operations. This helps us serve customers more efficiently and safely. The results include building to the 15th largest LTL carrier in the country; receiving many industry and customer awards; and, keeping one of the highest customer – and employee – retention rates in the industry. 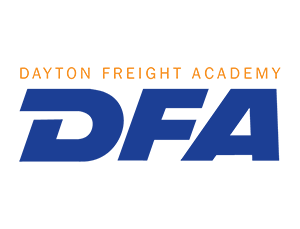 The Dayton Freight Academy offers a variety of in-house training programs to educate and develop employees. From management training and servant leadership to maintenance and safety, employees are exposed to real-world situations through a variety of educational methods. The current and future success of Dayton Freight depends on giving employees the right tools, training and techniques to further their knowledge and professionalism. While growing our driver workforce is a priority for Dayton Freight, recruiting and hiring quality driver candidates is one of the biggest challenges we face. We also recognize that our best employees want an opportunity for job advancement within our Company. What better way to grow our driver workforce than to develop our own dedicated employees! We’ve found that one of the best ways to do this is through our Dock to Driver program. Our existing driver group embraces this program and welcomes our former dock workers at the highest level of teamwork and professionalism. This truly shows their commitment to The Dayton Difference. Great communication is something we believe in externally as well as internally. Customer communications involve nearly everyone in our Company – from your local driver to our president, Tom Cronin. We believe in listening, open dialogue and transparency – we know of no other way to make sure we deliver the service you seek. Our website and periodic emessages, as well as real time freight status emails, all have the same goal in mind: to be informative, educational and topical. Internally, driver representative meetings, our company newsletter, leadership communication training, management “State of the Freight” recordings and CSA education are just a few of the ways we inform and advise our employees.